Trends indicate how important it is for retailers to consider more than their price point. Today’s consumers aren’t just shopping for the best deal, but for the best brand. But what does that mean? A lot of times, it’s about the consumers’ perception of your brand, as well as the relationship you have with your existing customers. 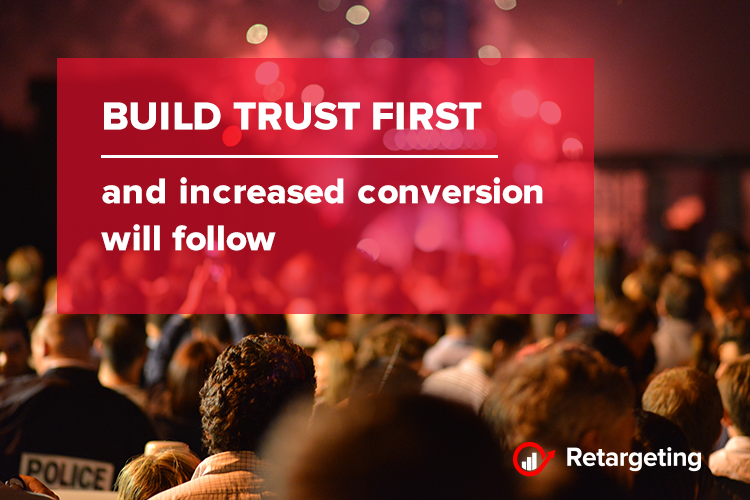 The foundation of any customer relationship is trust. In fact, 62% of consumers consider brand trust to have a great influence on their buying decisions. One way to establish trust and a strong community of loyal customers: hosting events. But what are they? What do they look like, and what do they entail? You might be wondering what event you could host, or your mind might be overrun with tons of ideas. Regardless, determining what your event is actually going to be, comes first. Think of what makes sense for your target customer before you think about what makes sense for your brand. Putting the community first is essential. If your main goal is to sell your product, your community-building goals are likely to be a lot tougher to achieve. If you have an idea and are unsure of what response will get, survey your existing customer base. Post a poll on social media, survey your email list, or ask customers during checkout. That way, you’ll be able to build interest before you start making the event a reality. Any successful strategy to boost retail sales consists of a multi-channel approach. Digital and real-life tactics, as well as long- and short-term goals should be complementary to help you meet your business goals. Events can be one facet of your overall plan, especially as it relates to customer loyalty. Not one single thing is going to directly boost sales. Marketing increases awareness, events increase foot traffic, the act of selling increases conversion. The benefits are a long-term loyalty and return customers. A customer retention strategy is a cost-effective way to sell more product and boost customer lifetime value. It’s estimated that the cost of customer retention is anywhere from five to 25 times less than acquiring a new customer. Through events, you’re able to build and nurture the relationship your customers have with your brand. Even though you may not be generating revenue at your events, you’re more likely to be top-of-mind when they do need to purchase a product you sell or a solution you offer. Events are an opportunity to conduct customer research. You can ask questions, get to know your customers in a different way. If you’ve been in business for a while, it’s a nice way to refresh your perspective of your customer. Find out what’s important to them and how their buying habits have changed. Thinking about developing a new product line? Use the events to build interest among your existing customer base. It can help you feel more confident in a risk you plan to take in your business. If your event is good, you could get some free publicity from local publications or reporters. This kind of earned media is valuable when it comes to building brand awareness and your sales numbers. After all, 25% to 40% of all web traffic and lead generation comes from earned media. When other outlets start to talk about your store and your event, you’re able to reach an entirely new audience. Plus, those other outlets already have established credibility, which also lends credibility to your business. At the end of the day, an authentic intention to create a community-first, profits-second event is the pillar for retailers who want to host events. In this world of creative commerce, running a profitable business with integrity is about creating community over surpassing the competition. By producing more of a community-focused event, the benefit will come from creating a once-in-a-lifetime experience. Your attendees will walk away with a shared story that includes your brand. It’s a very unique formula.